In 1814, the cause of the disease still remained a mystery but Dr. Henry Wilkins, one of the founding members of the Beneficial Society, sketched out his approach to treatment in an 1811 letter that prescribed the application of a caustic paste onto any bite from an infected animal. Thankfully, a more effective cure arrived in 1885 when Louis Pasteur and Émile Roux developed the first rabies vaccine. 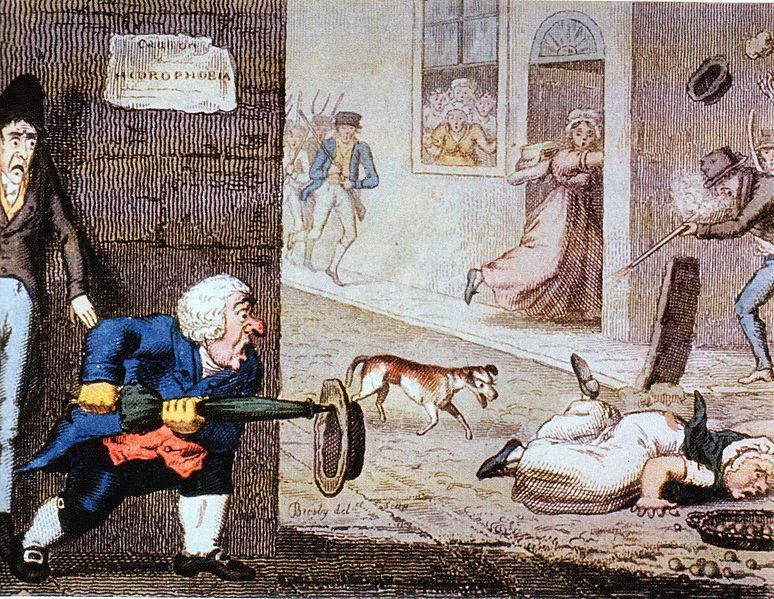 Read more on the 19th-century history of rabies in Mad Dogs and Englishmen by Neil Pemberton and Michael Worboys on HistoryToday, 2007.